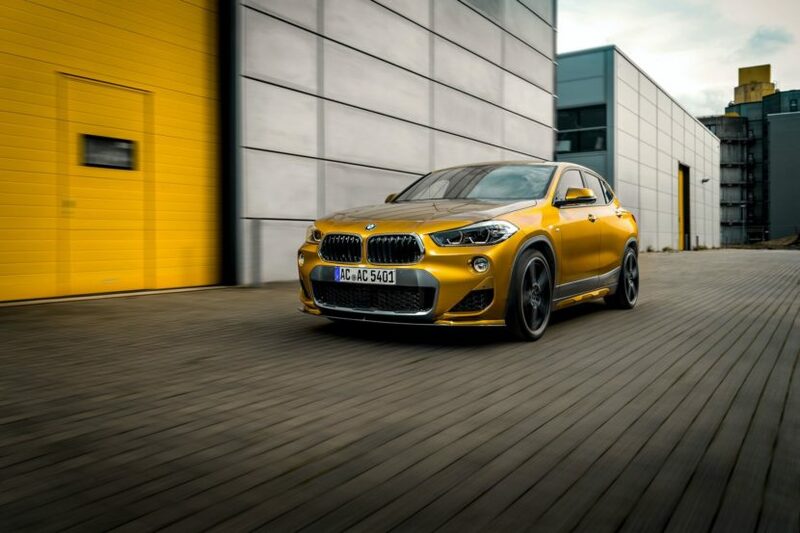 German powerhouse shop AC Schnitzer is celebrating its world premiere of the BMW X2 tuning program. The upgrades, as always, start under the hood. 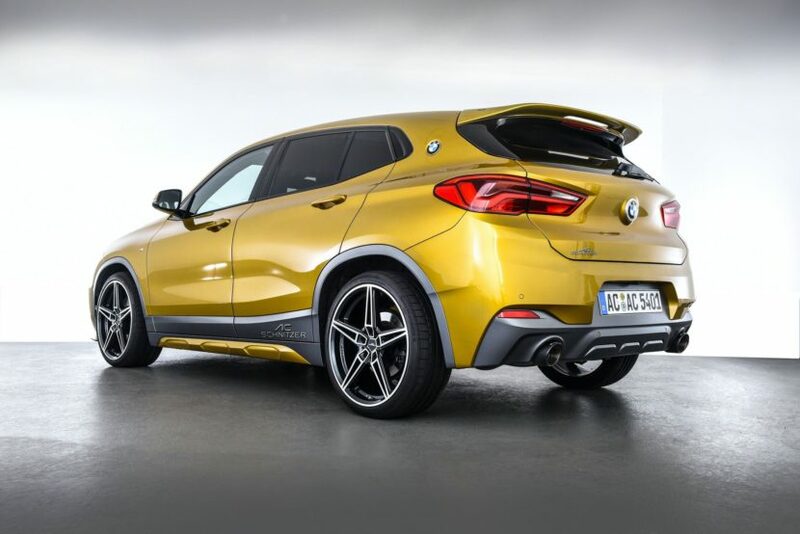 The entry-level BMW X2 20d will be upgraded from a 140 kW/190 hp diesel engine to 163 kW/222 hp. Of course, the performance upgrade will be available for both the sDrive and xDrive versions. In both cases, it will be delivered with the AC Schnitzer mandatory assembly warranty. 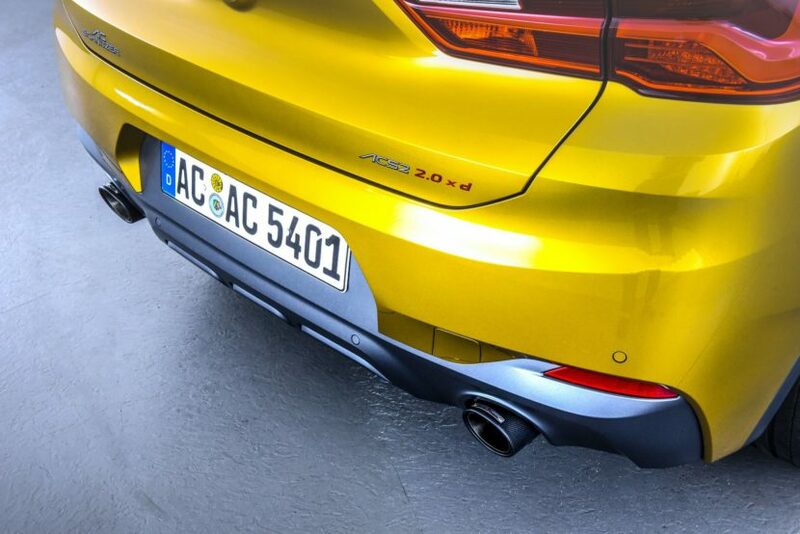 A set of AC Schnitzer exhaust tailpipes are available for the BMW X2 in the “Sport” chrome-plated, “Sport” black or carbon fiber versions. The handling of the BMW X2 is improved by a new suspension spring set from AC Schnitzer. Depending on the model, the X2 is lowered by approx. 20 – 35 mm on the front and rear axles. 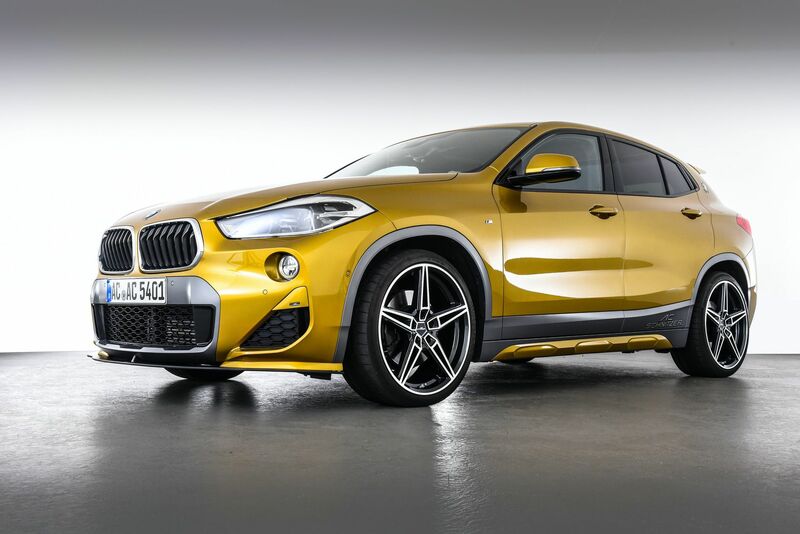 Design wise, the X2 by AC Schnitzer comes with a series of upgrades. 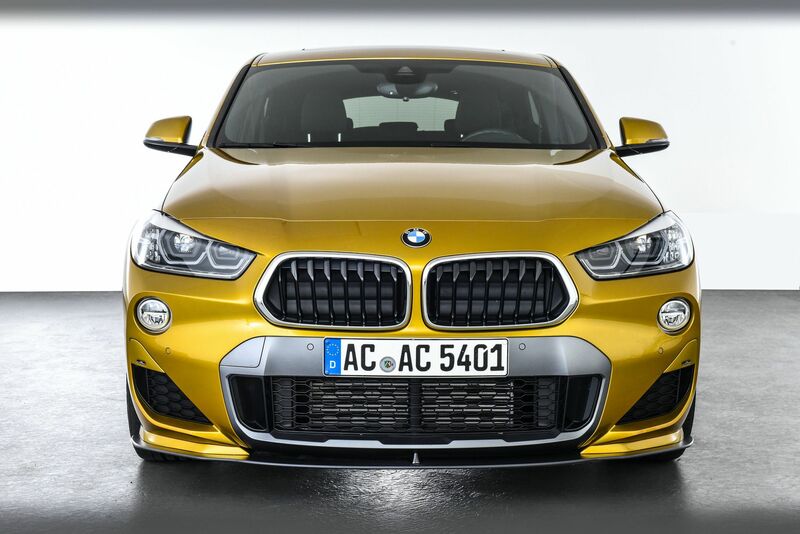 The AC Schnitzer front splitter, which is supplied as a set with triangular design elements for the standard front apron, increases downforce in conjunction with the rear roof spoiler. Both components together provide additional traction for the X2. Functional and expressive aluminium accessories also give the interior of the X2 by AC Schnitzer a sporty and youthful touch. These include the aluminium shift paddle set in black/red, the aluminium cover “Black Line” for the i-Drive System Controller and the aluminium pedals. Only one set of attractive wheels is missing for the final polish. An ideal choice are the AC Schnitzer AC1 wheels in 19 or 20 inches. 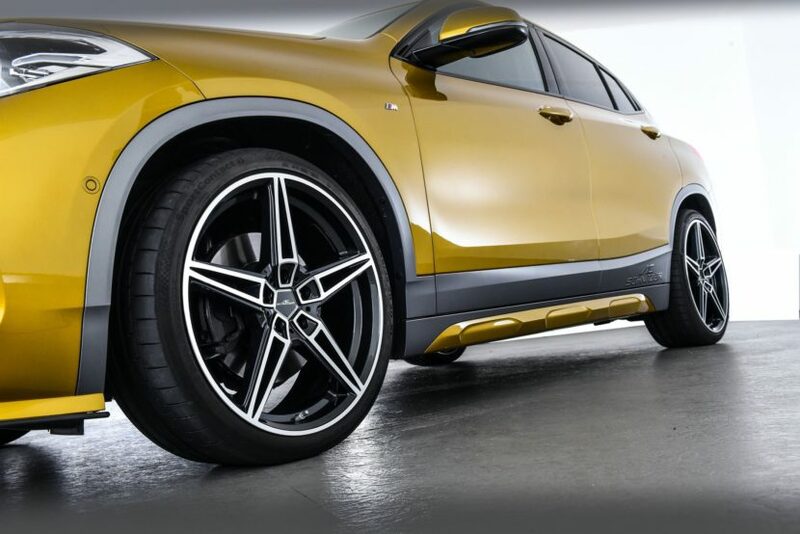 Depending on personal taste, these wheels are available in BiColor silver/black or in anthracite and they are fitted with tires of the dimensions 225/45 R 19 or 245/35 R 20.